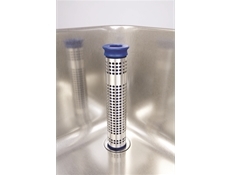 Commercial kitchen perforated sink strainers with stainless steel strainer and blue plastic inner - Drain to suite 1-1/2" BSP with a 14" Bowl height. 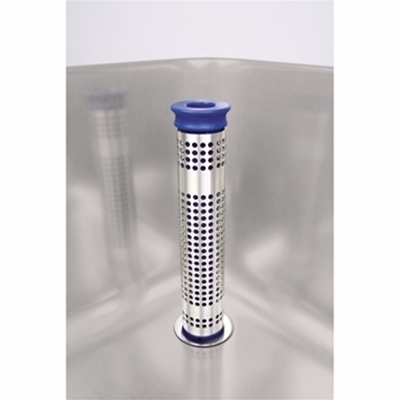 Please note: This strainer system fits the KIT range of bowls. Waste flange diameter 72mm.